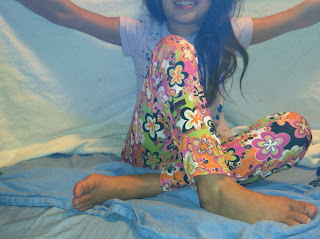 MamaBreak: Cool leggings for the cold weather! We love wearing leggings in our home! We live in a very cold climate, and have already had our first snow fall! Brrrr! That is why we love Zupers! Zupers are really cooly designed leggings for girls. They have great patterns, and my daughter loves them! The right leg has an adorable pocket, that my 9 year old loves. She loves to wear these under a plain skirt to make the skirt a little more trendy. We love these long ones! MamaBreak was given the pants above to review for you here on MamaBreak. We were not given any other type of compensation for the review. As always, our experiences and opinions are our own. Oh those are so cute! My little girl would love them! Those are cool and fun! Those are really cute, love leggings in cold weather!